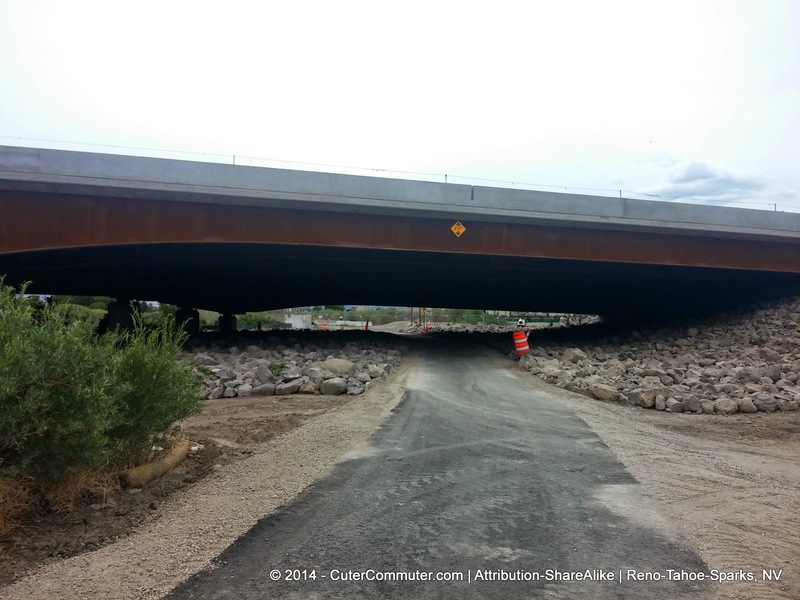 On our way home from Positively 4th Street in downtown Reno, my husband and I rode on the Truckee River Bike-Ped path all the way to Greg Street and Sparks Boulevard to look at the progress of the SouthEast Connector project. The construction of Phase 1 (where these photos were taken) and is scheduled to complete this August. 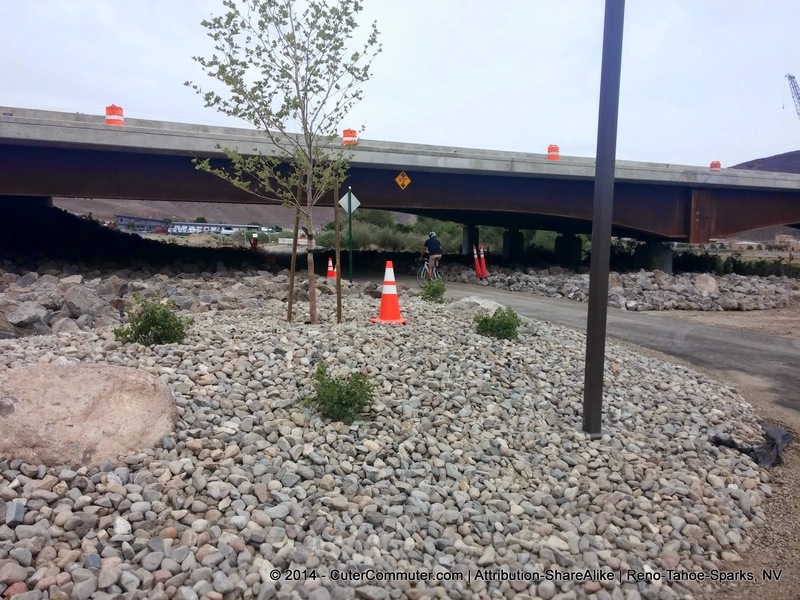 We did notice a multi-use path was installed on the west southbound side of Sparks Boulevard at Greg Street. Still, I wonder how this path will be connected with the path that currently exists on Sparks Boulevard. Navigating the freeway overpass with motor vehicles trying to get on the I-80W freeway to get to this point is scary enough as it is, even for experienced riders. View of the SouthEast Connector heading south. But any improvement is better than riding on the shoulder with the hustling and bustling of mostly commercial vehicles that frequent the street. 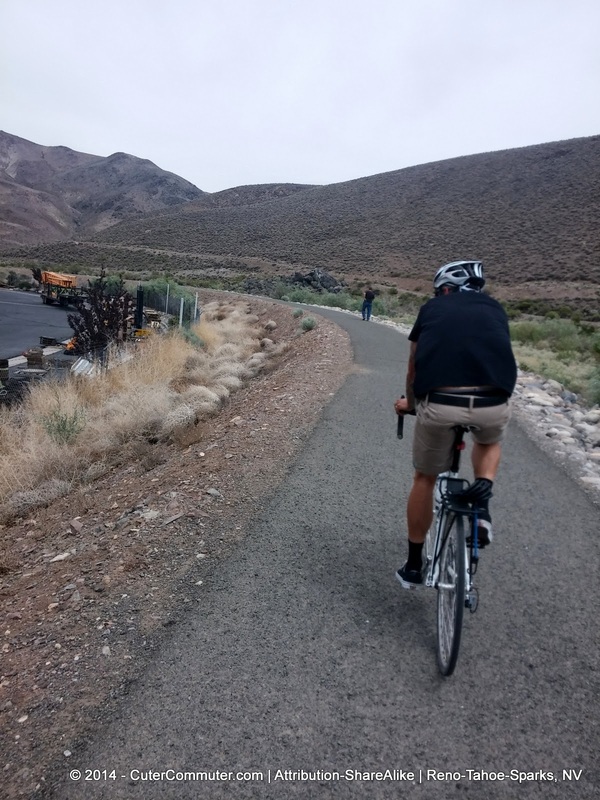 Once the multi-use path is complete and open to foot and bicycle traffic, my husband will be able to ride on the multi-use path to south Reno where he works. View of Greg Street (running east and west) at the Sparks Boulevard intersection. The bike path that has been closed down appeared to be pretty much connected. I hope it will re-open soon because I would prefer to take the path all the way home from downtown Reno and get off the trail at Vista Boulevard. Going under the SouthEast Connector overpass. Looking westward towards Reno on the multi-use path. I have not been on this stretch of the path since a running relay two years ago. I think the RTC is doing a fabulous job with the multi-use path. It is great to see the landscaping come together for the path, as a priority and not as an afterthought. 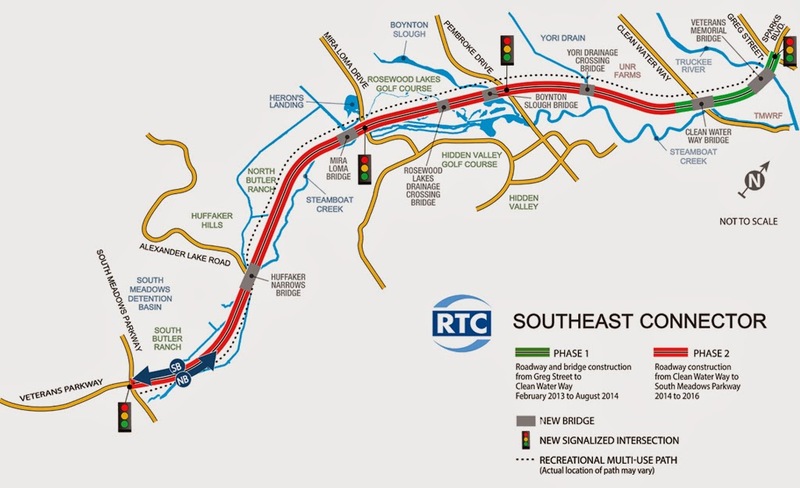 I cannot wait until it is open to bike commute to work on it! !